Before the Pebble Mill auction in 2004 and the demolition, VT Editor, Ian Collins decided to take record photos of much of the post production kit, particularly obsolete items which were being disposed of. 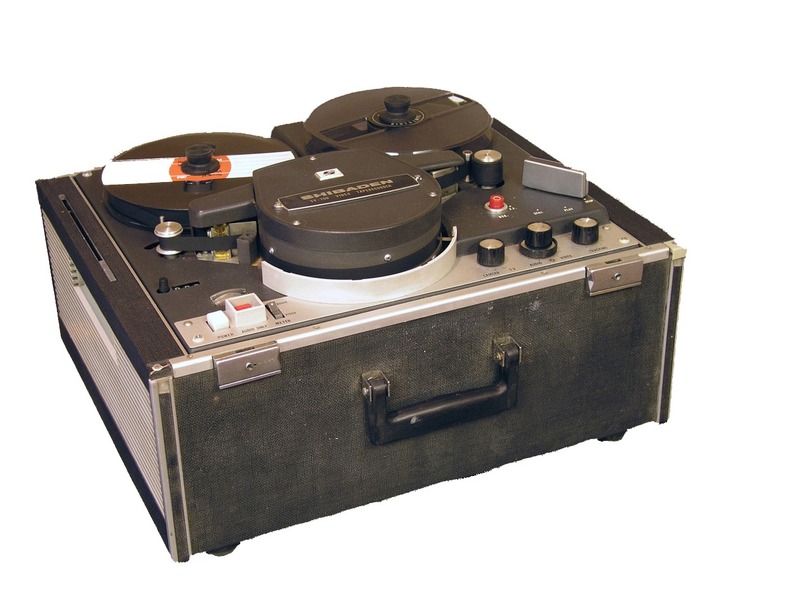 These photos are of the Shibaden 1/2 Video Tape recorder – model SV 700, which was the most popular model in the range. These machines came out in the late 1960s and were used well into the 1970s. They were open reel to reel videotape recorders, recording in black and white. The tapes moved at 7.5 inches per second. Shibaden also made cameras, sync generators and monitors, and were a rival to Sony. Apparently this tape recorders are very rare now.